Take a short break on this wonderful three-night independent tour that starts at Alice Springs and ends at Ayers Rock Resort, Uluru. Explore Australia’s arid outback desert, where sacred Ayers Rock; now known as Uluru and Kata Tjuta (The Olgas) dominate the striking landscape with their fiery-red colours. 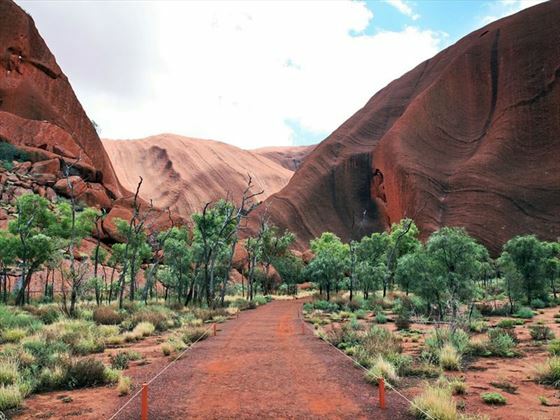 Visually stunning as well as being an area of huge cultural significance for the Aborigines, the Red Centre’s immense beauty is a sight to behold. Watch as both Kata Tjuta and Uluru manifest their vivid hues of bright orange at sunrise and sunset in the heart of the glorious outback. 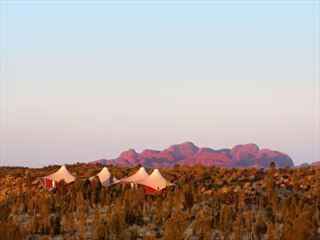 This is an experience unlike any other, with a choice of accommodation to suit all budgets and incredible natural sights to behold on the road from Alice Springs to Uluru-Kata Tjuta National Park (AA). Please note: The minimum child age for this tour is 10 years. Fly into Alice Springs today and transfer to your hotel for the night where you are free to relax and enjoy your surroundings before your tour begins in the morning. (Pre tour night) Outback Pioneer Hotel (Comfort), Desert Gardens Hotel (Standard), or Sails in the Desert Hotel, Ayers Rock Resort (Superior). Today begin your outback road trip in Alice Springs at 7:00am this morning, drive south to a camel farm, where you’ll have the opportunity for a camel ride (own expense). Next stop is Atila (Mt. 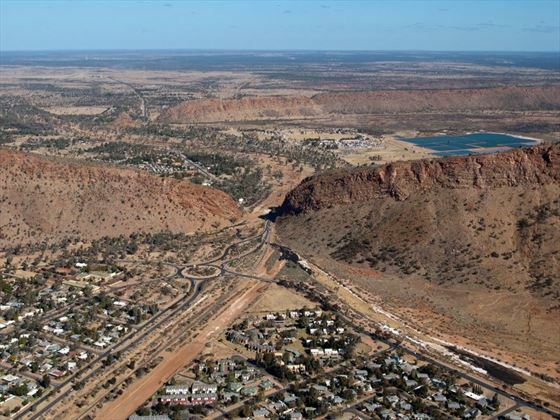 Conner), which is sometimes mistaken for Uluru, before continuing on to Ayers Rock Resort. Your Driver Guide will drive you around the base of Uluru for close up views and then continue to the Kuniya Walk and Mutitjulu Waterhole. 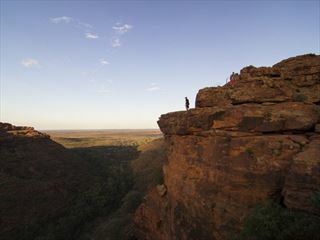 A key source of water for local Aboriginal people, the waterhole has been in use for thousands of years. You’ll get the chance to see Aboriginal rock art and hear fascinating stories about Aboriginal culture and history, with a visit to the Uluru – Kata Tjuta Cultural Centre to view original paintings and punu (woodwork), giving you a unique insight into the fascinating and spiritual culture of the Anangu people, the traditional custodians of Uluru. Later today, you’ll arrive at the Uluru sunset viewing area to experience the striking colour changes of Uluru, accompanied by sparkling wine and snacks. Don’t forget your camera. Overnight: Outback Pioneer Hotel (Comfort), Desert Gardens Hotel (Standard) or Sails in the Desert Hotel, Ayers Rock Resort (Superior), 2 nights. 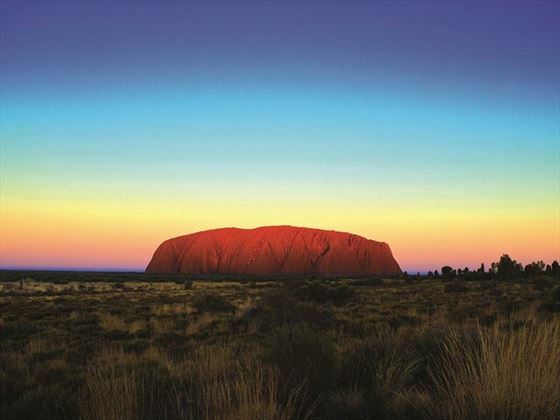 After an early start, you’ll head off for the Uluru sunrise viewing area. Marvel at the effect as the Red Centre is set alight by the first rays of a fiery sun. Continue on to see the 36 colossal domes of mystical Kata Tjuta (the Olgas). 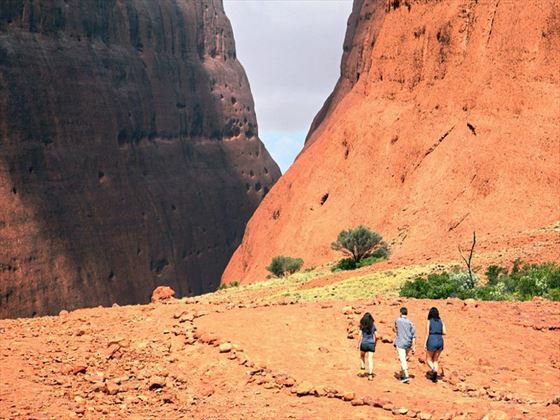 Here, you will walk through Walpa Gorge, along a trail that follows the natural creek bed between two of Kata Tjuta's tallest domes. As evening approaches, you’ll be treated to a memorable experience as you dine under a million stars at the Sounds of Silence Dinner. Enjoy a gourmet buffet of authentic Australian food, washed down with some fine Australian wines, then sit back and listen to your star talker who take you on a tour of the southern night sky (weather conditions permitting). This is star gazing at its very best. A moderate level of fitness is required for Kata Tjuta as you will be walking on uneven surfaces on the Walpa Gorge walk, however, you can return to the comfort of your coach whenever you wish. Your tour will end at Ayers Rock Resort this morning. Having enjoyed your short break visiting the highlights and viewing the unique landscapes of the Red Centre, you will be transferred to Ayers Rock Airport for your onward flight (flights available anytime). Note: Minimum child age 10 years. Visit to a camel farm. View Atila (Mt. Conner). 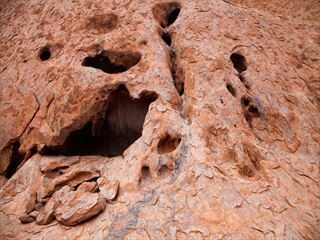 Uluru base tour and guided walk. Mutitjulu Waterhole. Uluru – Kata Tjuta Cultural Centre. Uluru sunset viewing with wine and nibbles. Uluru sunrise viewing. Kata Tjuta (the Olgas. Walpa Gorge. Sounds of Silence Dinner with startalker.